It warms my most Canadian of Canadian hearts to know that I’m not the only one enjoying the incredible Adventures of Joe West. You, dear readers, have too embraced The Great Ejector. Joe West’s latest escapade comes courtesy of Maine’s finest, William Tasker, and has Mr. West on the high seas. Well, not exactly the high seas, but there’s water involved. Joe West is everywhere. Hold on tight, little lady, otherwise … you’re gone! Now, like me, you’re probably wondering how Joe West, over the years, has mastered his form. There’s an art to the ejection, and Joe West has it down. 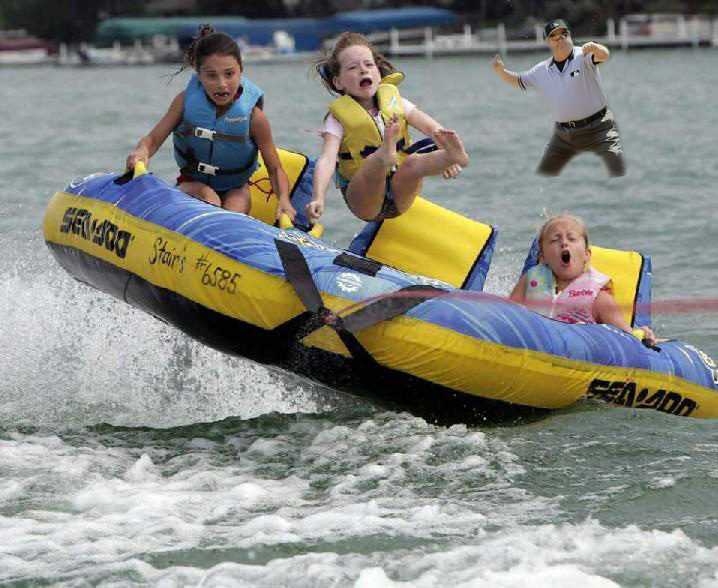 You see, Joe West is so much more than an umpire. He’s an entertainer. A singer. Seriously, click on that last link. It’s a sample of West’s biggest of big tunes, “Blue Cowboy.” I’ll wait. You’re welcome. 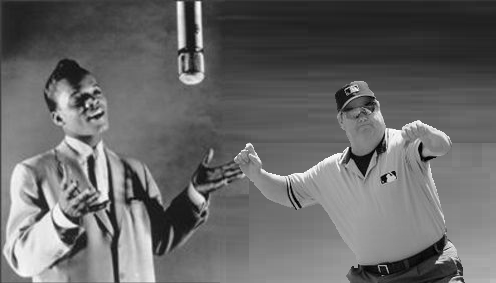 Joe West, not Hank Ballard, wrote The Twist and invented the corresponding dance. In the first photo (below), you can clearly see Joe West teaching the dance to Hank Ballard as he performs the newly learned song. 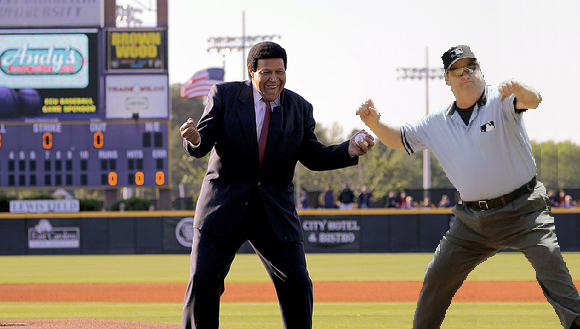 As if that weren’t proof enough, the second photo shows Chubby Checker coming out to the ballpark to celebrate the craze that made him a star with its venerable creator. Twist on, Joe West. May The Great Ejector twist on, forever. There you have it. History does not lie. I’ve already thanked William by email. You can thank him by visiting and reading his blog, The Flagrant Fan – For the Love of Baseball. And be sure to thank steex, too, the next time you see him around here. We hoped you liked reading Today in the Adventures of Joe West by Navin Vaswani! Joe West does not abide red-headed stepchildren.